The weather was fantastic, we started at 11 am and had a DJ, setup started at about 8 am in the morning. Our normal venue was being demolished but I think we did fine. A bit more shade would have been helpful. We started off with a prize drawing and there were only about 20 tickets in the tumbler so everyone had a great chance. 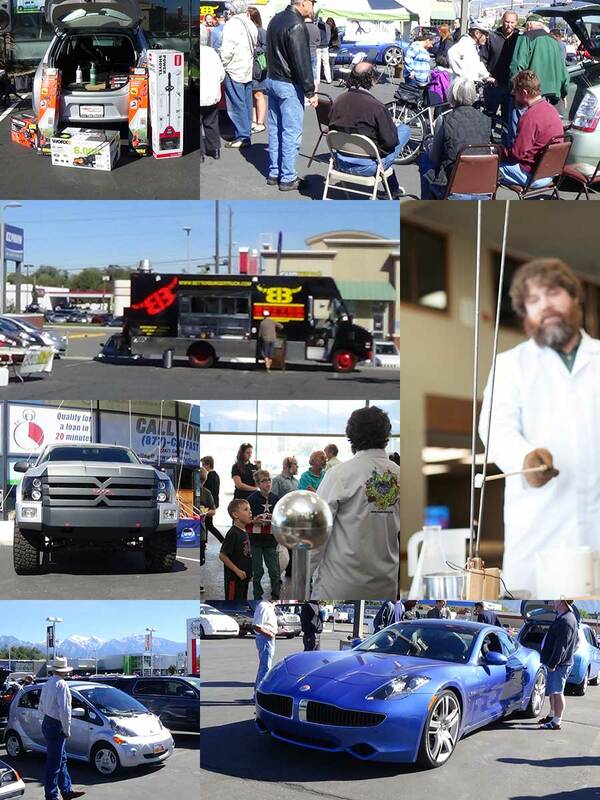 Tim Dahle Nissan and Nissan put in about $3300 in Prizes and another $700 or so was brought by speakers and other car manufacturers. People from Blue Monkey Bicycles, Zero Motorcycles, Tesla, Utah Green News, Purpleair.org, University of Utah UDrive, Utah Clean Energy, Utah Clean Cities, NRG EVGo, Nissan, Joshnsavesenergy.com spoke and the crowd I think was appreciative and attentive and of course loved the prizes. There were drinks, Sept. 12, 2016 – In a joint press conference today, the University of Utah and Salt Lake City will announce the launch of an electric vehicle purchase program extending discounts on multiple makes and models of vehicles. This one has some EV Enthusiasts and a Tesla model S in it. Unfortunately we did not get much in the way of wide angles. 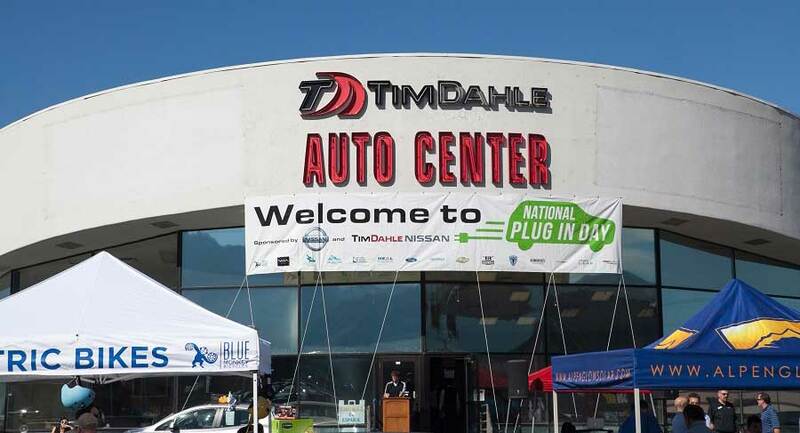 We are Happy to Host National Drive Electric Week! We will have all Makes and Models of Factory EVs along with a Ton of Rare EVs, Home Made EVs too. We will have Experts on Hand to answer Questions and possible Ride and Drives. There will be a Science Show, Speakers and Representatives from the Legislature and Clean Air Groups. We will also have Free Drawings for Beautiful Rechargeable Prizes. There are currently 149 attendees registered. Registered attendees report 648,832 electric miles driven.